Diseases of the gastrointestinal tract are diagnosed every second in an adult patient. When belching, heartburn, nausea, indigestion, pain, stool disorders, feeling of fullness in the stomach, is assigned to the diagnosis. Modern methods of diagnostics allow to detect the disease at an early stage and to start timely treatment. If you have at least one of these symptoms, consult your doctor gastroenterologist. You will be given an esophagogastroscopy, ultrasound or fibroezofagogastroduodenoscopy. Also the doctor will prescribe the direction for blood tests to check for antibodies to Helicobacter pylori, roundworm, opistorchis. Definitely examined the blood for tumor markers and the coprogram. In addition to blood tests hand over a feces on eggs of protozoa and helminths. Cal you will pass within 3-5 days daily. Prepare for the examination. As free the gastrointestinal tract from food, by eating a healthy diet. If you have an enema or laxatives preparations, follow the doctor's recommendations. 14 hours before the test, refrain from eating for 6 hours – from the water. When conducting esophagogastroscopy you enter the tube with the monitor. The survey is 20 minutes. During the procedure, the doctor looks at the entire gastric mucosa and, if necessary, conducting other manipulations, for example, takes tissue for a biopsy. When numerous lesions for examination can take up to 50-60 minutes. This is a very effective method to detect lesions of the stomach, but does not allow to examine the bowel. Inspect the entire abdominal cavity is possible by the method of ultrasonic diagnostics. If you have an ultrasound, eliminate the presence of gases in the gastrointestinal tract. To do this within 10 days before the examination follow the diet, eliminate from the diet of bread, beans, milk, cabbage, carbonated water, alcoholic beverages. Eat small portions of porridge, cooked in water. Also you can recommend to take espumizan, festal, Mezim or other drugs that improve digestion and eliminate flatulence. If your doctor feels that it is necessary to appoint additional examination, do not refuse the diagnosis. For example, you can assign the examination of the liver and gall bladder, as often problems with the gastrointestinal tract associated with impaired function of these organs. Timely inspection allows to detect the disease at an early stage. Early diagnosis helps to predict complete cure. Examination of the stomach by a doctor-gastroenterologist in the presence of complaints of bad digestion, feeling of heaviness, overflow, pain, heartburn, violation of the chair. The most common and effective method of examination is esophagogastroscopy diagnosis or EGD, which is performed by fibroezofagogastroduodenoscopy. Also used ultrasound diagnostics. - pass the designated examination. To get reliable test results, one week before the procedure follow a milk diet. Eliminate from the diet coffee, spices, spicy dishes. Daily at night, take a laxative senade, or other prescribed by a doctor. 12 hours before the test totally abstain from food, 5 hours from the water. If esophagogastroscopy the physician inserts through the patient's mouth into the esophagus a soft tube with the monitor. Pre mouth and throat treats anesthetic to reduce pain. The doctor carefully examines the entire gastric mucosa and, if necessary, takes the fabric with the right site for biopsy. The survey is carried out for 3-30 minutes, depending on the extent of involvement of the mucous membranes. If lesions are many, the procedure takes a lot of time. During the procedure, the doctor may conduct an emergency removal of a polyp or to stop the bleeding. Ultrasound examination of the stomach completely painless procedure, but it allows you to see only the General condition of the mucosa and on the basis of ultrasound, it is impossible to establish an accurate diagnosis. If the stomach will be gases that ultrasound can't show anything at all. It is therefore very important to properly prepare for this examination. Excluded from the diet bread, milk, cabbage, beans, juices. As well as alcohol, carbonated water, mineral water with gas. For 7 days eat porridge on the water, dairy products, boiled vegetables. If you suffer from gases, take Mezim, festal, espumizan. 12 hours before the test avoid eating and 5 hours from the water. Based on surveys, the doctor will prescribe the necessary treatment. All types of diagnostics of the stomach help to identify cancer at its earliest stages, when it's not too late to take measures for its recovery. If painful symptoms and trouble with the stomach not to pay any attention, do not go to the doctor and no test to detect cancer can only be made at the latest stage when cure is not possible. The esophagus is the long tube of muscles that connects the throat with the stomach. In diseases of the esophagusand problems in swallowing, patients are often choked food, pain and discomfort, in some cases there is the presence of a foreign body. When such symptoms should seek medical gastroenterologist for a medical examination. The direction of the survey. You will be given x-rays of the esophagus. In conventional x-ray the esophagus is not visible, so you will drink a solution of barium sulfate that does not transmit x-rays. In the picture you will see the relief of the esophagus. For the diagnosis of diseases of the esophagus esophagogastroduodenoscopy is often used. During the procedure, immediately examined the entire esophagus, stomach and duodenum. You will have a local anaesthetic and examine all the organs using an endoscope with illumination. The image is viewed through the monitor. If necessary, do a biopsy and histology. To do this, take pieces of cloth, a doctor and a pathologist will conduct a study under the microscope. This examination reveals a malignant tumor and allows timely to detect changes that precede cancer. Also, you can assign endoscopic optical coherence tomography. The survey is conducted using an endoscope with an optical sensor which receives the reflection of the esophagus and transmits to the computer monitor. A blood test for tumor markers is not always possible to obtain an accurate diagnosis, cancer of the esophagus is characterized by a increase of the markers CYFRA 21-1, TPA, SCC, and they are present in the blood only in 40-45% of patients when the disease has gone too far. Computed tomography done if the previous methods of examination do not allow to make an accurate diagnosis. The method allows to comprehensively examine the oesophagus, to define clear boundaries between inclusions and lesions. Ultrasound is assigned to all patients to view the structure of the tissue of the esophagus. Esophagoscopy is performed for suspected cancer. Inside of the esophagus enter the sensor and inspect all the walls, if necessary with the help of this method, take the material for examinations not only of the tissues of the esophagus, but also closely located lymph nodes. When performing bronchoscopy examines the entire esophagus, vocal folds, windpipe and bronchial tubes. 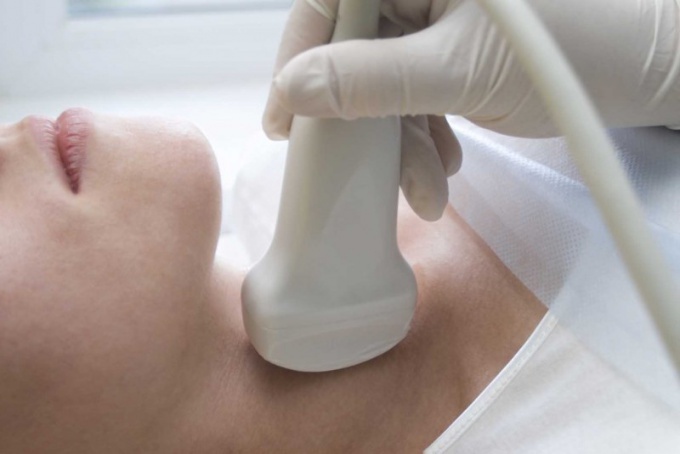 Tomography positron emission is used to detect all focal changes of the esophagus. In the vein injected radioactive glucose, which immediately accumulates in cancer cells. Using a scanner examines the degree of damage of the esophagus. Final diagnosis the doctor can only put the result of a comprehensive study. The stomach is a very important organ through which the blood and tissues get the nutrients, providing his life. Failures in the stomach is fraught with dysfunction of many organs. It is therefore very important at the slightest disruption to check the stomach, turning to the specialist. There are many methods that will help to diagnose the problem and treat the disease at an early stage. Experienced and qualified specialist-a gastroenterologist are able to supply the preliminary diagnosis already during the first conversation with the patient. Focusing on the nature of complaints and after studying the symptoms, the doctor determines what disease was their cause. Additional information it may acquire in the examination of the patient by sensing the stomach. Pressing and feeling it through the abdominal wall, the doctor will conclude whether tumor masses or gryzenia channels in a patient. For more detailed surveys doctors use a probe located at the end of a thin, flexible tube. Being swallowed, the probe enters the esophagus and slowly moves it towards the stomach. Using the probe can be introduced nutrient, once in the stomach, forcing him to work. Samples of gastric juice are taken via the probe. The level of acidity in the stomach is determined not only by sensing, it can be checked in another way. For this, the patient swallows a special substance containing chemical safe dye. After processing in the stomach, the dye is excreted along with the urine. A urine test will determine the acidity – the more dye is left in the urine, the higher level of acidity. There is a special electronic sensor, which also can determine the level of acidity. It should be swallowed, and once in the stomach, it will emit signals whose frequency depends on the level of acidity. The body of the sensor comes out naturally. One of the most reliable methods that allow the physician to literally "see" the condition of the stomach from the inside, is endoscopy. It can help to diagnose tumors and ulcers. The process of movement of an endoscope through the esophagus and stomach can be seen on the monitor screen. 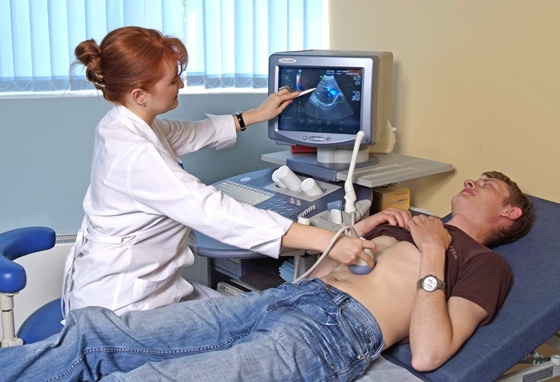 A popular method for the diagnosis of gastric diseases is ultrasound. It allows very detailed examination of this body, painlessly and in a timely manner to carry out its diagnostics.